This tutorial explains how to create and edit a custom plugin for all of your tweaks to the theme. We strongly recommend using the customization plugin method for a variety of reasons. To be clear, the file functions.php within Memberlite or your child theme (if applicable) performs like a plugin in that it can execute php code. 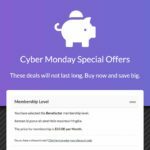 While adding code to your active theme’s functions.php file is often quicker than building a plugin, the downside is that as we update Memberlite, you’ll lose the custom functionality that was added. Code in a plugin will persist. In addition, the use of a customizations plugin helps your developers and our support team know exactly WHERE the custom code is located as it relates to your Memberlite setup. Create a folder called memberlite-customizations in the wp-content/plugins folder of your site. Create a file called memberlite-customizations.php in the folder you just created. Navigate to the /wp-content/plugins/memberlite-customizations/ folder. 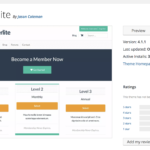 Download the latest copy of the memberlite-customizations.php file. Add the code for the recipe or code shared via your support forum thread at the bottom of memberlite-customizations.php. We understand that you may not be completely comfortable working “in the code”. Our support team can put minor code tweaks in place for you if you share FTP information in a private thread. If you are updating the customizations on your own and an update to the customizations plugin completely breaks your site, don’t fret. Rename the folder memberlite-customizations to anything else (I generally rename it to memberlite-customizations-off. You can then repair any broken code in the file and rename the folder to the original memberlite-customizations. This entry was posted in Customize, Recipes and tagged . Bookmark the permalink.